What do Batman, Superman, and the Flash all have in common? They're white guys. The new Ms. Marvel is not. Introduced as Kamala Khan Captain Marvel #17, Kamala is a teenager, who lives in Jersey City. She's also a shape-shifting super-human, who struggles with teenage life in America as a Pakistani-American. Also fighting super-villains. Kamala is getting a proper debut in All New Marvel Now! #1 sometime in January of next year as the new Ms. Marvel. I'm writing an article on women of color in popular comics and I need your help. If you could, so kindly, take this survey. Its a simple multiple choice survey where you click on the box next to the name of the black super-heroines that you've heard of. I'm only using DC Comics and Marvel Comics characters, who are black and are still alive or still in circulation. Again, if you have heard of these characters, just click the box. I'd really appreciate it! Hannah's Reasons are going to be a weekly post uploaded on the blog where I talk about characters from TV shows that I adore. The amount of reasons may vary from post to post, but the topic will remain the same. I hope you enjoy! Now onto the post! Let's talk about my love of Abigail Mills. In case you live under a rock in the farthest corners of Mt. Nowhere, Abigail Mills is one of the main characters in the new TV series Sleepy Hollow. There are several things that make Abby one of the most important characters on TV right now, but I will just name three. Even More Wizarding World Spin-Offs??? J.K. Rowling is trying to kill us! 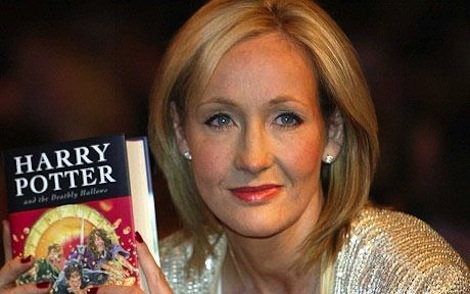 There are rumors circulating of even more movies in the works, based on more books from the Harry Potter series. Both "The Tales of Beedle the Bard" and "Quidditch Through the Ages" have reportedly been trademarked by Warner Bros. Entertainment.